When most experts think of group healthcare plans, Preferred Provider Organization (PPO) plans largely come to mind—though higher cost, they dominate the market in terms of plan distribution and employee enrollment. But Consumer-Directed Health Plans (CDHPs) have made surprising gains. 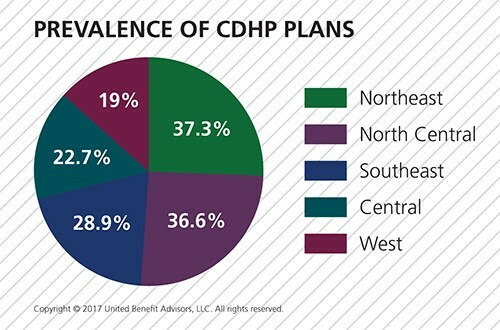 Despite slight cost increases, CDHP costs are still below average and prevalence and enrollment in these plans continues to grow in most regions—a main reason why it was one of the top 7 survey trends recently announced. For a detailed examination of the key findings, download UBA’s free 2017 Health Plan Survey Executive Summary. 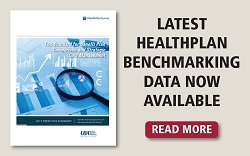 To benchmark your exact plan against others in your region, industry or size bracket, contact a UBA Partner near you to run a custom benchmarking report.